Amanda Sevall Designs: Card: Thank You, Halloween style! 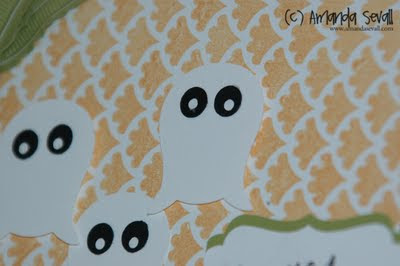 I have a bunch of Halloween themed cards and crafty projects to share this week! Up first, one of my favorite things I made - cute little punched ghosts! Super cute! Are they little owls (upside down) turned ghost? Awesome!